Do you remember the excitement you felt when you first learned to drive? It felt like the world was at your feet and you could go anywhere you wanted to with this newfound freedom. Over the years, this free feeling has faded to become more of a chore. If you’re someone that spends a lot of time trying to avoid the drive on the road, you need to find the right place to secure a Fiat 124 Spider lease and begin to enjoy the drive on the roads in North Lauderdale, FL. 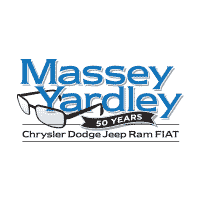 The right place for you to find the car you’re looking for is Massey Yardley Chrysler Dodge Jeep Ram Fiat in Plantation, FL. This is the dealership that brings you the Fiat 124 Spider lease offer that is affordable and right for you to have what you want when you head out on the road. Let this team assist you with the car you want to drive and start to remember the fun and freedom that came with getting behind the wheel to enjoy the open roads of North Lauderdale, FL where you live and love to drive. When you see this gorgeous car on the lot you visit, you’re going to be blown away by the style and the stance it offers. The Fiat 124 Spider is a small two-seat roadster that has been meticulously crafted to give you a look that makes you think about the roadsters of the 1960s. The bodywork brings in square taillights, round headlights, an Italian look, and list of colors that you might expect to find from a brand that plays much higher in the market. This is the car you want to lease and enjoy on the roads in North Lauderdale, FL today. No matter which trim you choose of the Fiat 124 Spider you want to lease and drive on the roads in North Lauderdale, FL you’re going to have an active 1.4-liter turbocharged four-cylinder engine under the hood. This engine is attached to either a six-speed manual or a six-speed automatic transmission to give you the short and quick shifting you want. The engine provides you with 160 horsepower and 184 lb.-ft. of torque with the Abarth model increasing the power to 164 horses galloping under the hood. This is a car that’s active and enticing for you to have the drive you want. You’re going to love what you see and what you find when you see the team at Massey Yardley Chrysler Dodge Jeep Ram Fiat in Plantation, FL. This is the dealership where you’re going to find the Fiat 124 Spider you want to lease and enjoy on the roads in North Lauderdale, FL. Make this the right choice for you and you’ll be ready to have a great drive and the quality features you want in a car that will easily remind you of the fun and excitement you can have on the road.